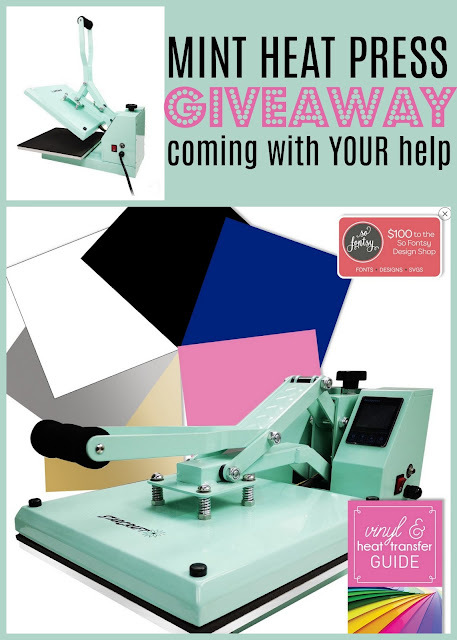 So basically before Swing will give me a new 15x15" mint heat press to give to one lucky Silhouette School reader, we have to help get them to 150k Facebook followers first. That means you need to go like the Swing Design Facebook page, share it with your friends, and basically convince anyone you know that they need to LIKE it! 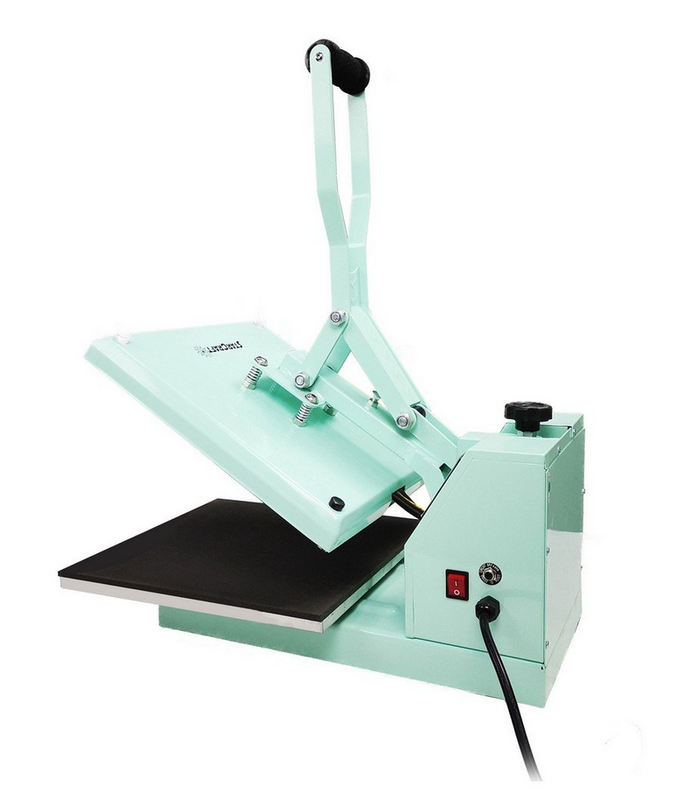 So what's so great about this press other than the color? It's a standard size 15x15" press with a clam shell opening which is great. These are pretty easy features to find even in an entry level press. But what you don't normally see in a heat press is the suction cup feet to keep the press down on the table when you open the handle. 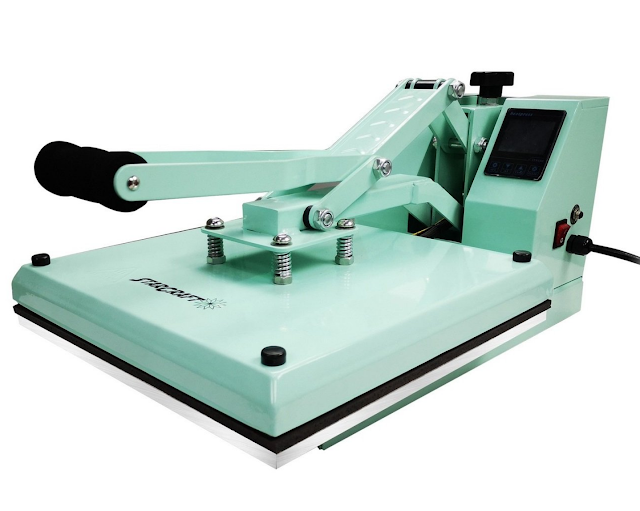 If you have firm pressure, opening the handle can pull the front of the heat press up off the table so the suction cup feet should help keep it firmly in place. The other thing I really like is that it has an auto-shut off safety feature. I may be guilty of forgetting to turn my press off all day!! This Starcraft mint press has an adjustable timer setting that if the press is left idle for a certain amount of time - up to 60 minutes - the heating elements will automatically turn off. Other things to consider when comparing heat presses - this one can be purchased as part of a heat press bundle (which includes heat transfer vinyl, a paperback mini guide, and $100 credit to select commercial use fonts and designs from So Fontsy), product support, free shipping from Swing Design, and you can buy it on a payment plan to spread out the payments. Remember...go like the Swing Design Facebook page to help unlock this giveaway!